ORLANDO, Fla. – Equality Florida is proud to announce their partnership with the Contigo Fund, an initiative of Our Fund Foundation. In August of last year, Equality Florida launched its new Safe & Health Schools Project just two months after the horrific shooting at Pulse Nightclub, seeking to end LGBTQ bias where it begins, in schools. In just the first five months of the project, Equality Florida has conducted LGBTQ Awareness trainings for nearly 2,000 principals and district leaders, and they are already working with almost half of Florida’s school districts. The partnership with Contigo Fund will allow Equality Florida to expand their Safe & Healthy Schools Project, specifically in Orange, Osceola, and Seminole Counties, with an emphasis on supporting LGBTQ youth of color. Contigo Fund’s mission is to honor the lives of those who were lost at Pulse --- nearly all of which were both LGBTQ and Latinx --- by making sure their identities, lived experiences, families and communities are never forgotten. 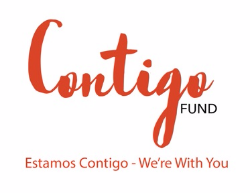 Contigo, which means “with you” in Spanish, as a name for the Fund was chosen to express a thoughtful commitment to supporting the resilience of LGBTQ people of color living at the intersection of marginalized identities and building on their power. Contigo Fund is committed to financially supporting organizations working to heal, educate and empower Pulse-affected communities - LGBTQ and Latinx individuals, immigrants, and people of color - as well as all those working to defeat bigotry in all its forms across Central Florida. Furthermore, Contigo Fund looks forward to supporting its grantee’s vision with resources, training, and opportunities to build community with each other. The funds come from the generous gifts of several philanthropic leaders across the nation including Ford Foundation, Open Society Foundations, W.K. Kellogg Foundation, Arcus Foundation, Annie E. Casey Foundation, Robert Wood Johnson Foundation, Executives’ Alliance to Expand Opportunities for Boys and Men of Color, and Our Fund Foundation. For additional information on the Contigo Fund and to contribute to our efforts, visitwww.ContigoFund.org or contact Program Director Marco Antonio Quiroga at[email protected]. Contigo Fund, an initiative of Our Fund Foundation, launched in response to the tragic act of hate that occurred on Latin Night at Pulse nightclub in Orlando targeting LGBTQ people of color. “Contigo” means “with you” in Spanish. For all those affected by the Pulse tragedy -whether physically present at the club or otherwise- we want them to know: Estamos Contigo - We’re With You. Contigo Fund financially supports organizations – including emerging organizations that often lack access to philanthropy – working to heal, educate and empower LGBTQ and Latinx individuals, immigrants, and people of color; as well as those working to end all forms of bigotry. Our focus is on medium-term to long-term solutions to bring meaningful, transformative and lasting change to these Pulse-affected communities in Orlando and across Central Florida.